This is Steve Sande for Apple World Today, and you’re listening to the AWT News Update podcast for January 2nd, 2018. Welcome back to another year of our daily Apple news podcast. Apple has reportedly purchased an app development service by the name of Buddybuild. Based in Vancouver, British Columbia, Buddybuild describes itself as a “mobile iteration platform” that focuses on continuous integration and debugging tools. What does that mean in plain English? It means that any app development team using the tool has a simple workflow for iterating and pushing apps out to the world using GitHub, BitBucket or GitLab. The company employs about 40 engineers and will stay put in Canada. Buddybuild will become part of Xcode, the tool that Apple provides to developers writing apps for iOS, macOS, watchOS and tvOS. 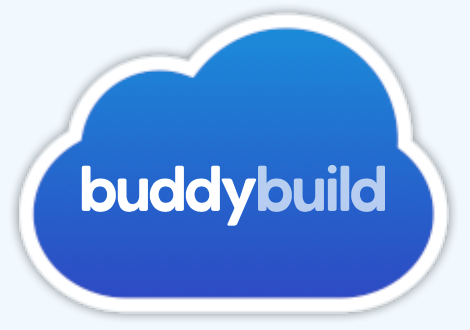 Buddybuild says that it will continue to support existing customers as a standalone product, but new customers will have to wait until the tool is added to Xcode. It also means that Buddybuild’s Android app development support — added just last February — will be discontinued. Buddybuild was founded in 2015 by former Amazon employees Dennis Pilarinos and Christopher Scott, with some of its more impressive clients being Slack, Mozilla, Hootsuite, Reddit, SoundCloud, FourSquare and The New York Times. Another new year means that we’ll have yet another year of conflicting analysis from those financial wizards on Wall Street. About a week ago, one report came in from an analyst saying that he believed the iPhone X production rate for the first fiscal quarter of 2018 — which ended on December 31, 2017 — would be 30 million units. That’s down from Apple’s forecast of 50 million units, and of course Apple’s share price suffered as a result. One more analyst, Nicolas Baratte of CLSA, thinks that lower number is correct and also thinks that iPhone sales will be down for the entire fiscal year. On the other hand, Piper Jaffray’s Michael Olsen thinks that Apple is well on the way to a $200 share price thanks to three new expected iPhone models that could arrive this year. It’s expected that Apple will come out with a “plus-sized” 6.5-inch OLED screen iPhone, a 5.8-inch OLED iPhone similar to the iPhone X, and a 6.1-inch TFT-LCD display phone in 2018. All three models will have the iPhone X-like full screen display and TrueDepth camera system. If that 6.5-inch screen iPhone does arrive as rumored, it’s likely that the iPad mini will be discontinued. A nice update happened today — DJI drones use an iOS app called DJI Go 4 that works with the controller or in some cases directly with a drone to control its flight and change settings. DJI today updated the app for compatibility with the 5.8-inch Super Retina display of the iPhone X, so the display is no longer letterboxed as it had been. Each year, Google does an article on its internal blog highlighting the biggest search terms for the previous year. For 2017, unicorns — the mythical creature that is even included as one of Apple’s animotos — were a big hit. People searched for unicorn cake, unicorn hot chocolate, unicorn lemonade, and unicorn cheesecake. The Starbucks Unicorn Frappuccino didn’t help matters as the number one trending calorie-related question of the year was “How many calories are in a Unicorn Frappuccino?”. Fidget spinners were also well overrepresented in search queries, as was slime. The number one “how to make” question of the past year was how to make slime, not just slime, but fluffy, butter, stretchy, jiggly, cloud, clear and glow-in-the-dark varieties of slime. One of the 100 globally trending “how to” questions of the year was also “How to get slime out of carpet?” The most trending memes of 2017 were “Cash Me Outside”, United Airlines, “Elf on the Shelf”, “What in Tarnation?”, and “Mocking SpongeBob”. There’s only one of those memes that I was familiar with, so I am apparently out of the loop. Finally, acronyms that people searched for in 2017 included WCW (woman crush Wednesday), TFW (that feeling when), STG (swear to God), GOAT (greatest of all time), and OFC (which means of course).